Two awesome things happened this week. As soon as I woke up last Thursday my heart was all in a flutter, Rodarte's collab with & Other Stories collection was in stores and online. Love love love the whole collaboration collection, so much so I ordered a few bits online, then I could not stop thinking about the beige cropped silk top, so much so that before my meeting with the gorgeous Nicola from Arbonne I went in to & Other Stories on Regent Street and bagged it! I mean it would of been rude to of left it behind, I had to give it a loving home it was calling to me. When I viewed this online it did not look see through, so I teamed it with as you can clearly see a bra-let from asos. The colour is gorgeous and the top itself is so delicate. This top was 45.00 reasonable in price. 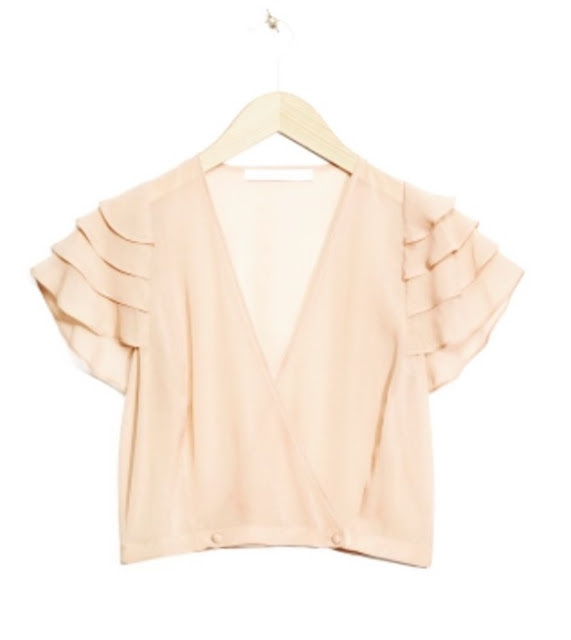 I wore the top with some white skinny Zara Jeans, you can find a similar pair here also from Zara. So Misguided what can I say! They are SLAYING it at the moment. 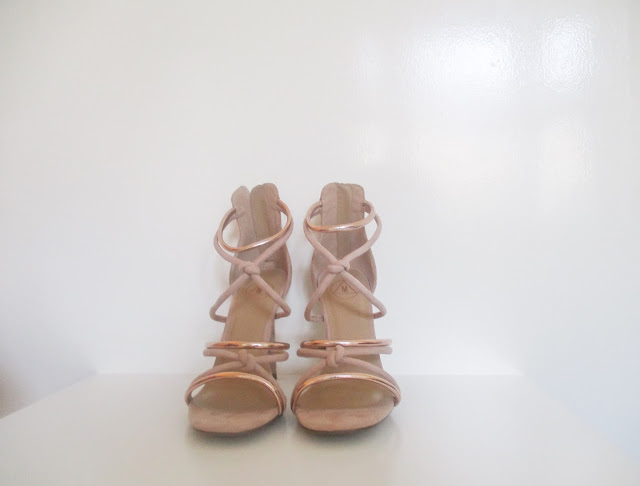 I actually bought these little rose gold puppies over the weekend! I should of held out as some of you may of noticed that they had 50% off earlier last week. I was one of the lucky few to of been able to of logged on, as for a period their site was blocked due to all the traffic. I have Leanora to thank for that, as she woke up super early and if it was not for her waking me up and me first thing checking all social media (Am I the only one that, before you get out of bed, you check all SM first thing?). So spring is officially here as of yesterday, woohoo! So lets pray it gets warmer and brighter so we can start to wear more spring trends. Did you bag anything from the Rodarte collab with & Other Stories? What do you think of the collection? Love to hear your thoughts.